WASHINGTON — The U.S. State Department has cleared Bahrain to buy as many as 3,200 bomb bodies to arm its fleet of F-16 fighters. The U.S. would provide from its own stocks the bodies of 1,500 MK-82 500-pound general purpose bombs; 600 MK-83 1,000-pound bombs; 600 MK-84 2,000-pound bombs, and 500 BLU-109 2,000-pound penetrator warhead bombs, according to a Defense Security Cooperation Agency announcement Friday. The sale could be worth as much as $45 million, but DSCA notifications do not represent final sales. If cleared by the Senate, the potential sale enters negotiations, meaning dollar totals and quantities can change. The U.S. considers Bahrain, a major non-NATO ally, an important partner in the Mideast. 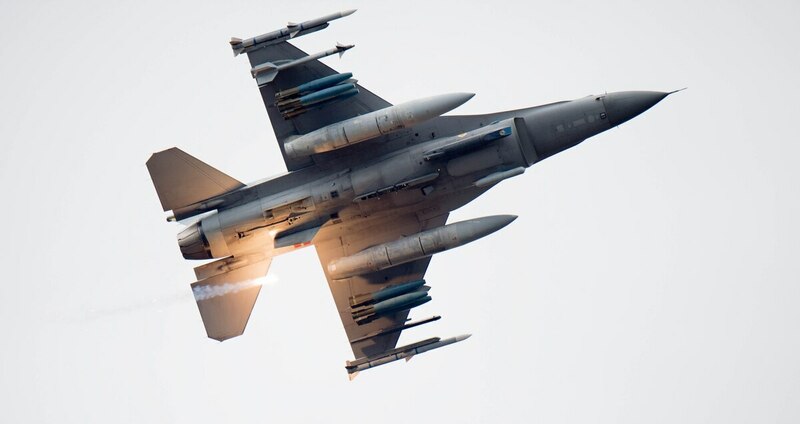 The purchase of these munitions will bolster the Royal Bahraini Air Force’s ability to conduct and sustain air operations with its F-16 combat aircraft. Bahrain will use these munitions to deter regional threats, strengthen its homeland defense and execute counter-terrorism operations, according to the announcement. The announcement also says there will be no adverse impact to U.S. readiness or the balance of military balance in the region. There is a history of controversy over those aircraft, which were cleared last September as part of a nearly $4 billion in weapons package for Bahrain. The Obama administration had paused the sale of those fighters due to human rights concerns over how they could be used. The Trump administration reversed that stance. Human Rights Watch condemned the prospective sale on Friday. Per the DSCA announcement, Bahrain would use the munitions as a deterrent to regional threats, strengthen its homeland defense, and execute counter-terrorism operations. The bomb bodies would also better equip Bahrain to operate with U.S.-led and U.S.-supported coalition operations. There is no prime listed contractor for the sale. The sale comes after Senate Foreign Relations Committee chairman Bob Corker, in February, lifted his eight-month hold on U.S. arms sales to Gulf Cooperation Council member states, which he levied to pressure a resolution in the GCC’s rift with Qatar. Bahrain is to become the first country in the region to operate Lockheed’s F-16 Block 70 aircraft, expected to boost the Falcon’s production line.